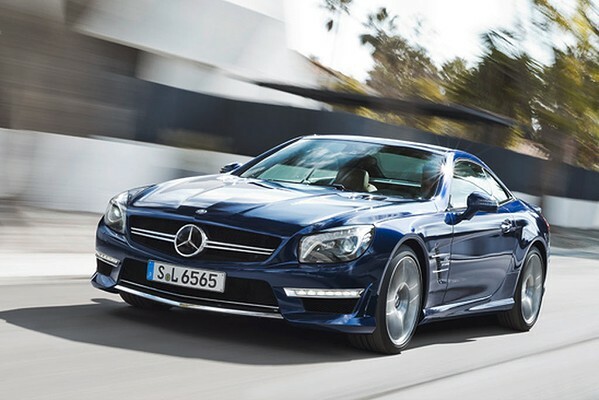 Drive.com.au review of the SL65 AMG V12. Fine looking car and with the AMG V12 sure would be fast we like that!! LOL I spat tea out of my nose when I read that Mark! I blame wind tunnel design parameters, all cars seem to be going in this direction and if you are not first with the basic design cues than you can but follow. I hate it when that happens; sorry about that chief!!! I just found it a funny adaptation of the original version and I was a bit amused from my Servo ordeal so it made my day. Agree God Father about your comment about the Aston Martin not holding a candle to the SL65! Aston Martin Vanquish for the money not my cup of Early Grey! I saw a new white Land Rover whilst out walking with the dog the Rover did look a touch ordinary it was the EVogue from memory. I can see myself and Birthday Girl cruising along in that SL65 I hope Birthday Girl does not mind if the SL65 is a red colour? LOL. Hi Tim & Styria like Mark i would not kick it out off bed . As for the Aston Martin not a bad design for a cheap Commodore body kit designer . Yes Ian Callam used to design HSV upto the VX . I think the Rapid is fantastic and the best looking sedan in the world . Unlike the Lagonda by William Towns . Last edited by motec 6.9; 23rd March 2012 at 10:06 PM. N.B. BTW, we have full details of all four Lagondas on TK - the Aston Martin Lagonda, the 1962 just mentioned, the William Towns styled Lagonda (one of Benz Boy's fancies) and the 1935 (?) V12 engined Le Mans racer designed by W. O. Bentley.